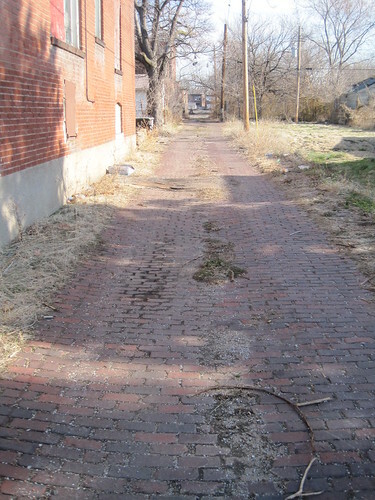 As the Preservation Research Office team conducts its architectural survey of the O’Fallon neighborhood of north St. Louis, it has noted the presence of several intact historic brick alleys. 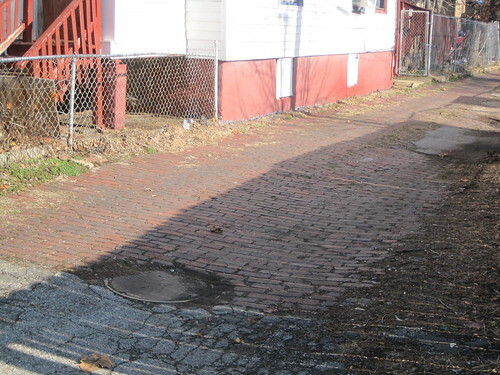 Paved with “paver” bricks made by local manufacturers in the last 19th and early 20th centuries before the rise of concrete street paving, brick alleys are part of the built landscape of the neighborhood — and the city. Unfortunately brick alleys have disappeared along with brick streets. O’Fallon is fortunate to have some remaining in good repair. 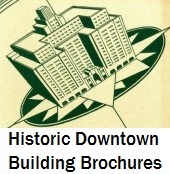 Those shown here can be found in the H-shaped alley network between Fair, Green Lea, Clay and Penrose streets. Brick alley running north between Penrose Street and Green Lea Place just west of Clay Avenue. Brick alley running north from Penrose Street to Green Lea Place just east of Fair Avenue. This entry was posted in Infrastructure, North St. Louis, O'Fallon, Streets. Bookmark the permalink. While I cherish our brick alleys, I am fascinated by the end-grain wood block alleys. The only one I know of is between Olive & Locust at 10th. It pokes through the asphalt much like the streetcar rails.